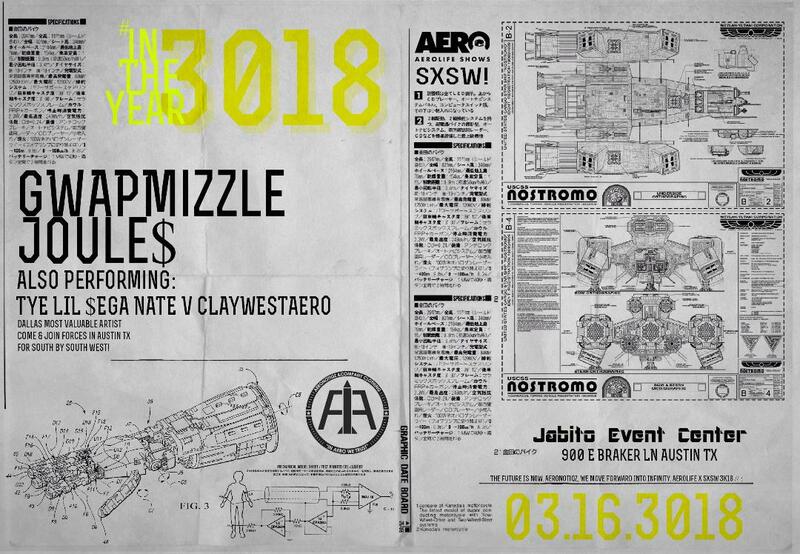 AEROLIFESHOWS x Pitstop Collectives x Dallas Locals Present: In The Year 3018! 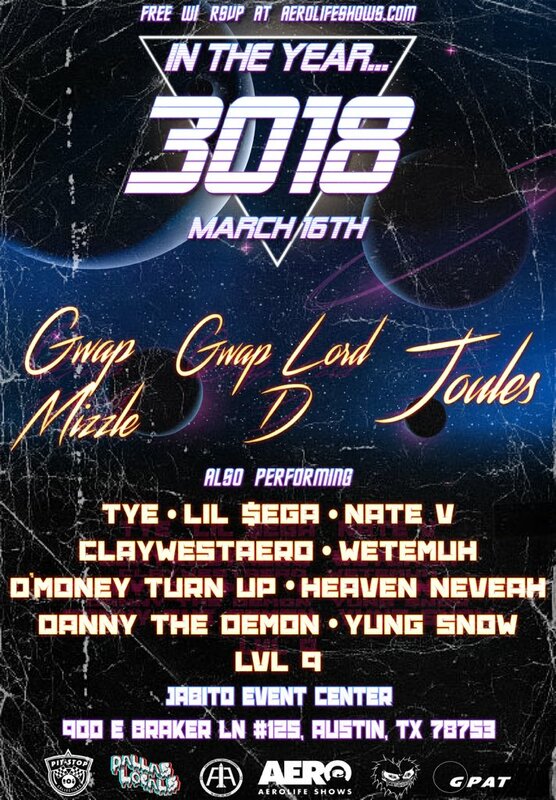 Headlined by Gwap Mizzle, Gwap Lvrd D, Joules, TYE, Yak The Mack, Teeta, Nate V, Lil $ega, Danny The Demon, Lvl 9, Mark Carson & More! Text 8179448820 for branding, vending or performance info!